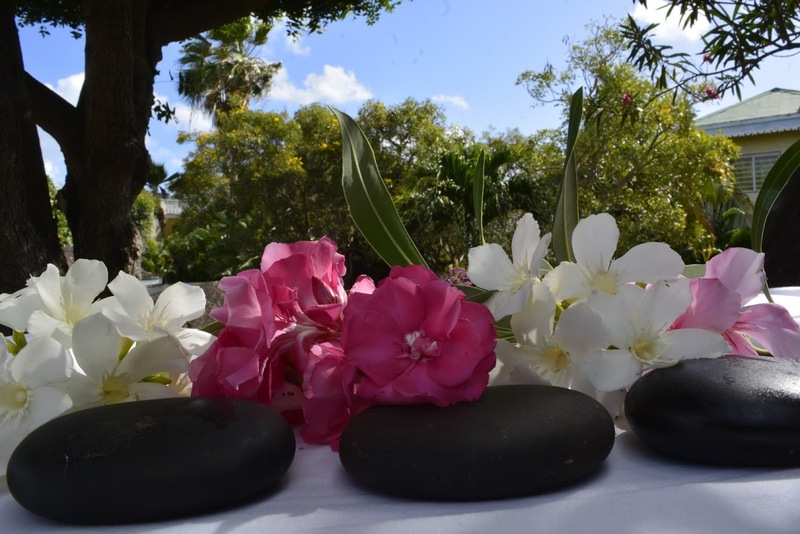 Virgin Gorda Village has an on-site day spa which offers a tempting variety of treatments designed to rejuvenate the mind and body. Open from Monday to Saturday 9 a.m. to 6 p.m. and by appointment. Receive 5% off first visit and 10% off for (3) treatments or more. Relaxing Swedish Massage – Using ancient techniques to soothe and ease muscle tension, this popular form of massage is excellent for first timers. Therapeutic Deep Tissue Massage – This intense massage utilizes deep compressions and stretching to rid the body of stubborn knots and muscle stiffness, enhancing performance. Aromatherapy – Combining the healing powers of essential oils and light touch, lymphatic circulation is encouraged to heal, balance and cleanse the body of toxins. 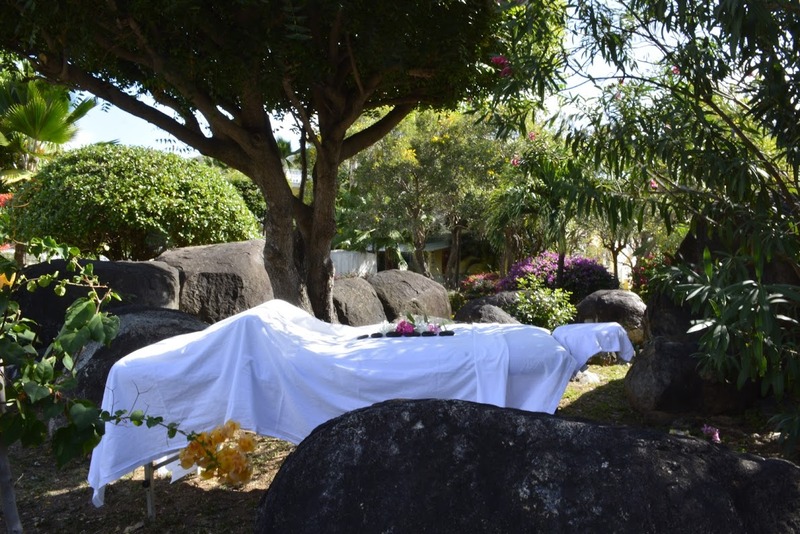 Hot Stone Therapy – This specialty massage uses heat infused basalt stones to deeply relax and help release tight muscles. 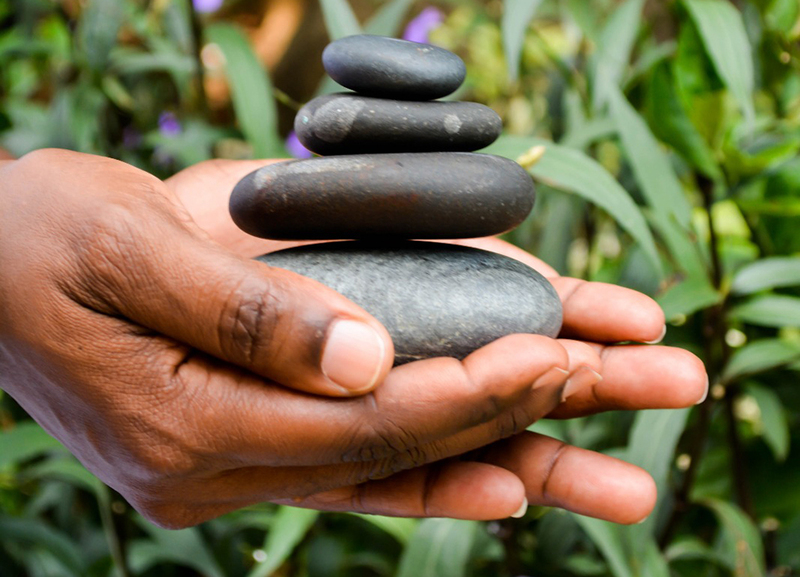 Reflexology – A deeply relaxing treatment that applies pressure to the sole of the feet and the palm of the hand enhancing your body’s health. Thai Massage – Utilizing gentle compressions on specific points with stretching techniques, this energizing massage helps reduce chronic pain, stress and improve flexibility in the body. Illuminating Salt Glow – Hydrating algae extract, re-mineralizing marine salts and uplifting orange and grapefruit essential oils are blended to deeply cleanse, exfoliate and invigorate the skin. Exhilarating Ginger Exfoliation – A sumptuous exfoliation with spicy notes and exotic Marula seed extract. The Ginger balm is massaged onto the entire body. On removal the skin is dramatically soft and hydrated. Orient Essence Ceremony – Soft smooth skin becomes a reality following exfoliation with a Ginger infused balm. Aromatic bags soaked in a warmed exotic oils and luxurious spiced Granita are used to perform a massage inspired by Asian and Indian techniques. The body is enveloped in deep relaxation, the spirit soothed and the skin hydrated, soft and luminous. Detoxifying Marine Benefit – Illuminate the skin with an invigorating salt glow followed by a powerful deep cleansing body mask naturally rich in minerals. The warmth of the wrap helps soothe away the tension and encourages the elimination of toxins. The body is energized and the skin incredibly smooth and refined. Mineral Enhancement – Let the supremacy of the ocean eliminate the aches and pains of daily stress. Refreshed skin is immediately evident after a concentrated exfoliation with marine extracts. A warm mineral enriched mud infused with relaxing essential oils soothes tired muscles and rebalances the mind and the body. Chamomile & Marine Algae Body Wrap – A calming treatment designed to renew the skin’s strength and vitality, while soothing and healing abused skin. Excellent for sunburns. 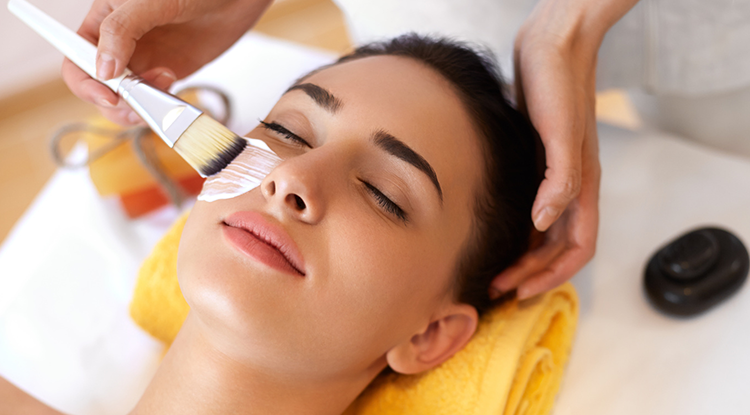 European Facial – A customized facial to balance and maintain a healthy, radiant and youthful looking skin. Correcting Treatment – Concentrated formulas featuring Tea Tree Oil, Glycolic and Salicylic Acids offer multi-benefits to reduce oil, absorb impurities, exfoliate, soothe and balance the skin. The result is a radiant, clear complexion. Gentlemen’s Facial – A deeply relaxing facial specifically designed for men. The skin is immediately clean, soft and refreshed. Anti-Age Treatment – A 5 phase facial treatment designed to firm, lift, tighten and brighten the skin – revealing a new and youthful complexion. Add-ons: These treatments can be added to most facials. Professional Peeling – A gentle yet effective dual-action skin exfoliation to lift away dead surface cells, renew skin cells and create a smoother complexion. Eye Contour Treatment – This calming, anti-aging and revitalizing treatment reduces puffiness, diminishes dark circles and creates an overall feeling of relaxation. Cancellation of an appointment should be made in no less than eight hours. Failure to do so will result in a charge of 50% of the scheduled treatment. In House Service – Enjoy a Relaxing Treatment in the privacy and comfort of your home, hotel room or villa. An additional fee will be applied.